This post describes a procedure for moving a master or slave protocol group from one comms port to another. The comms port can be on the same or different cards in the RTU File. Note: This procedure is not (to my knowledge) an approved or recognised procedure (by Foxboro) for accomplishing this task! Proceed at your own peril and backup first. It is assumed that the port that the protocol group is to be moved to has already created in System Configurator. System Configurator may or may not be running whilst making changes to the database, depending on your installation. 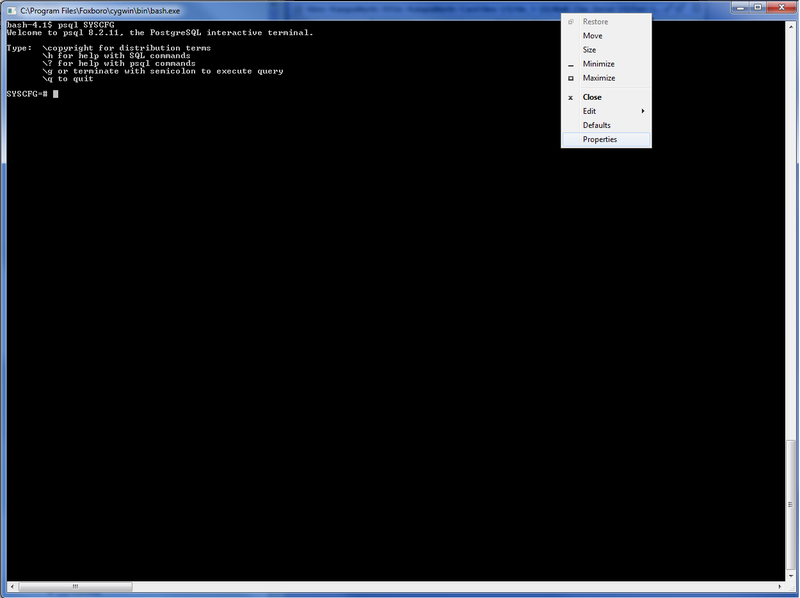 If errors are encountered connecting to the database withpsql then close System Configurator. In this example the DNP3 Master group will be moved to the second port on the 8 Channel Serial Card on slot 5. NOTE: At this point it is good to increase the screen buffer size so that all the tables will format nicely. Locate the comms ports the protocol group is to be moved from and to. The more specific tables will contain additional information that might help identify the correct port. Specifically, they will identify the card to which they are attached. When the correct comms ports have been located, record their oids (first column in the table). In the example above, the correct ports can be identified from the port number in the card, ie port 2 in the V28_DCB card and port 2 in the Multi_Chn_Serial card. Adding descriptions in System Configurator may make this much easier, as the description will appear in the table. ‘From’ port/card oids are in the red boxes, ‘to’ port/card oids are in the blue boxes in image above. Locate the protocol group that is to be moved. The correct group should be able to be identified from the oid of the comms port and other information in the table. Optionally, type select * from protocol_master_grp where comms_port_oid=201201240949535730; to go straight to the correct group (replace the number with the correct oid that was recorded earlier. Record the oid of this protocol group. Where xxxxx is the comms port oid recorded in step 6g (port to move protocol group to) and yyyyyy is the oid of the protocol group recorded in step 7c. Refresh (or start) System Configurator by right clicking the RTU or file and select refresh. The protocol group should have moved to the new serial port.